That time of year again ya'll! 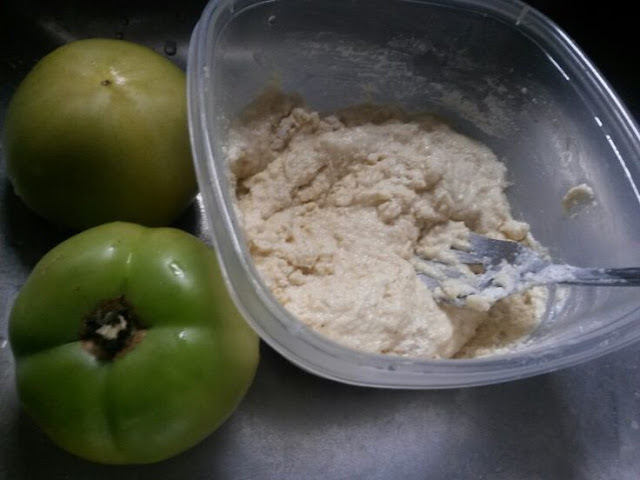 Raid your garden or go out and buy ya some fresh green tomatoes and lets get started. 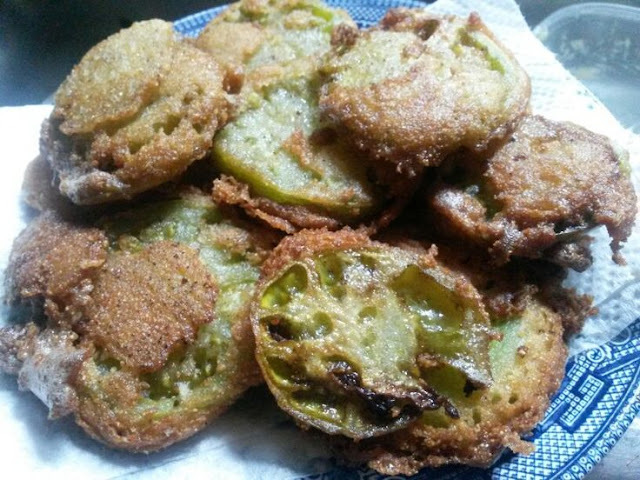 Don't worry,this is a super easy recipe for fried green tomatoes with an extra dash of country. I call that butter! 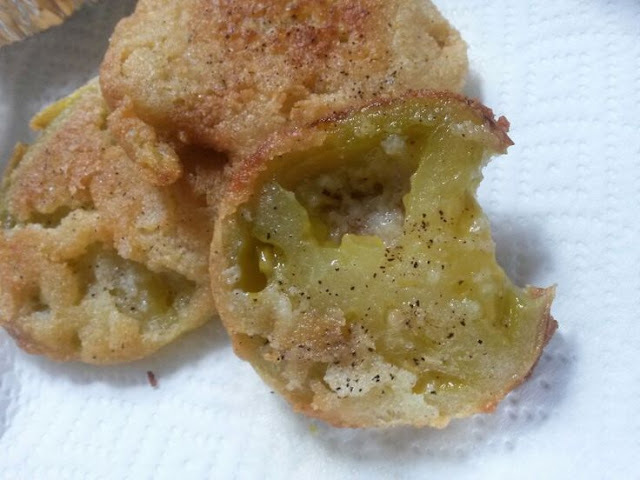 You just mix up your batter mix, cut up your green tomatoes, coat them with a thin layer of the batter and then fry them up in your ole' favorite iron skillet. Let's get started because I'm getting hungry! iron skillet (my favorite way to cook about anything including cakes. Especially pineapple upside down cakes! cooking oil (I use vegetable oil) You want enough in your pan to cover the tops of the tomatoes too. Kinda like deep frying them in a skillet. Okay now on to the cooking so we can get closer to eating'em! 1. Wash your tomatoes and set aside. Add your cornmeal, egg, a dash of flour, salt and pepper and milk until you get a kinda thick consistency. Don't mix it too runny. You want it kinda thick so that it will stay on your tomato slices. Notice my batter is kinda thick. You don't want it too runny or it will drip off your tomatoes while trying to cook. 2. Now go ahead and get your cooking oil and butter ready in your iron skillet. You want it to be on about medium so you can hear the sizzling as soon as you drop them in. I add more butter and oil after cooking each batch. The more butter, the better brown I get them to turn out. 3. And while your oil and butter is heating up, go ahead and slick up your tomatoes. I like medium slices. If they are too thin seems you really can't taste the tomato that great after frying. 4. 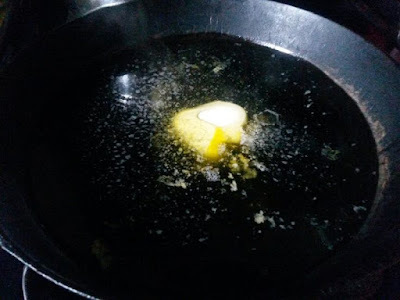 Now after your oil and butter is hot enough in the iron skillet, go ahead and dip your slices down in the batter mix (with a long fork) to coat both sides good and put them in the skillet. Carefully, that oil is hot enough to burn! And it does pop a lot due to the butter being in there! If your oil is not making tiny bubbles and a sizzle noise when you put them in, then chances are your oil is not hot enough. 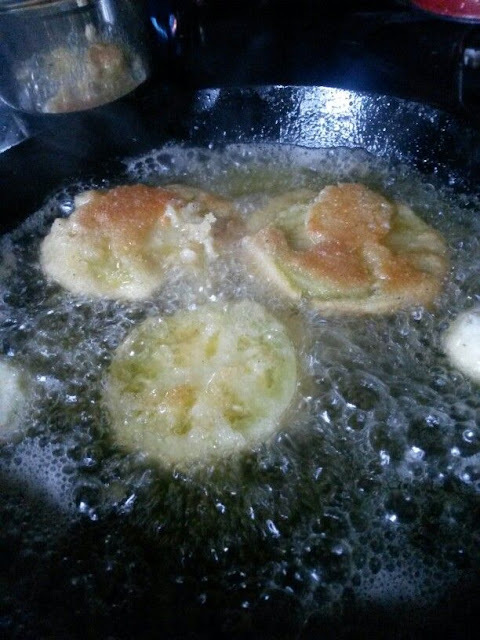 You want the fried green tomatoes to start sizzling as soon as you put them in. 5. Give them about 3 minutes to cook on that side and then use a long fork and flip them over. A fork is so much easier than a spatula for me. Cause you can grab it good. Look at those bubbles, now that is the heat I was waiting on. 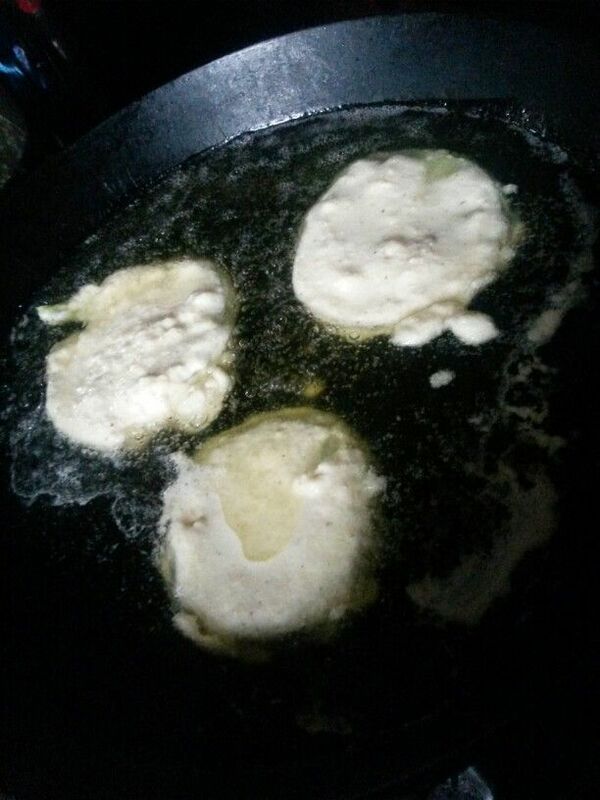 Don't worry if some of your batter does cook off, it will happen now and then. But they are still great. 6. Continue to cook them on this side for about 3 or 4 more minutes. Just until good and golden brown and then they are done. 7. Take them out of the hot oil when they are browned good on both sides and lay them on some paper towels to get off the excess oil. I can never wait long until I chomp right into one... OMGOSH... sooo good! And there you have it. Just keep using your same batter mix and oil until you use up all the slices you have. Just remember to keep adding a dash oil if you need more in the pan and always add more butter (usually a tablespoon) each time you put a new batch into the iron skillet. 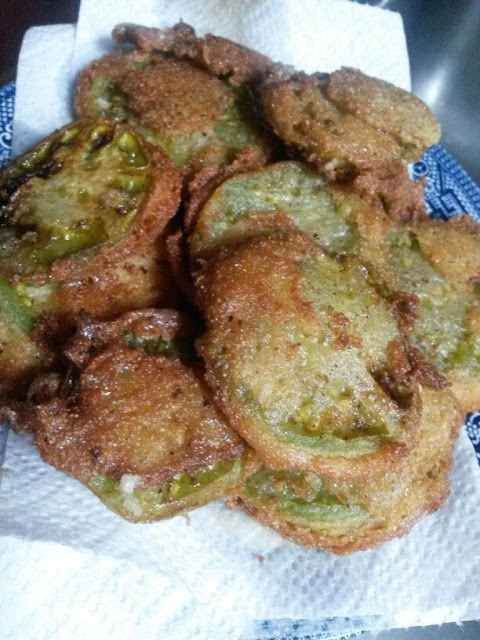 I think the butter is the magic to these fried green tomatoes! Yummy! 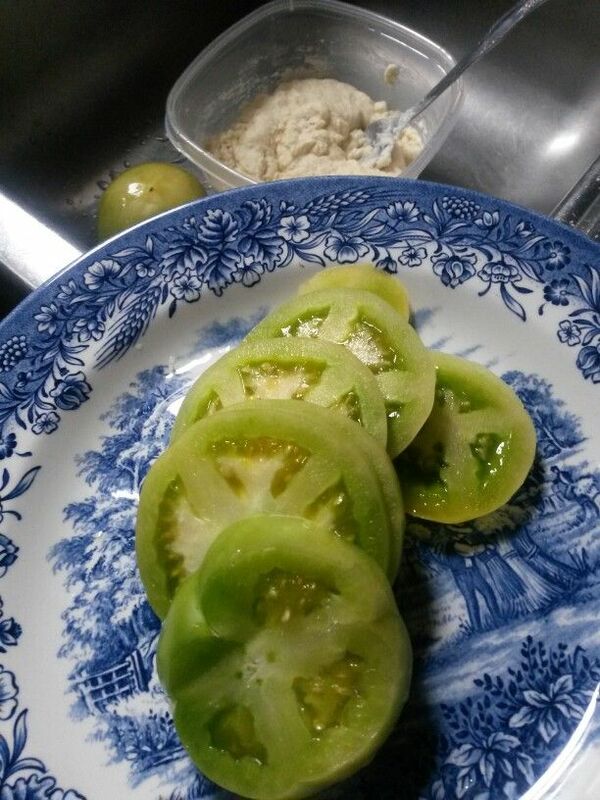 And guess what goes great with these fried green tomatoes? Fried cabbage and cornbread of course. Watch for my next post on those if you love country food! Yum, they look delicious! Thanks for sharing the recipe! Enjoy your weekend! I LOVE FGT! I have some smallish tomatoes right now. Looking forward to them getting a bit bigger! wish I could try yours!! Looks yummy!